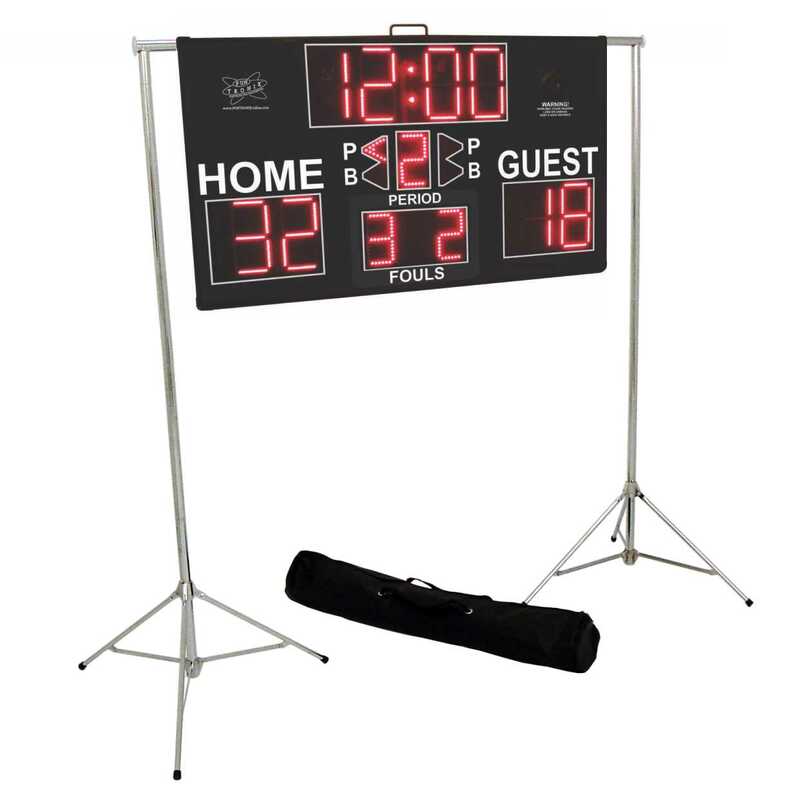 Increase the visibility of your SNT-800M or SNT-800F ultra-large scoreboard on the field. Heavy-duty steel construction with chrome finish. 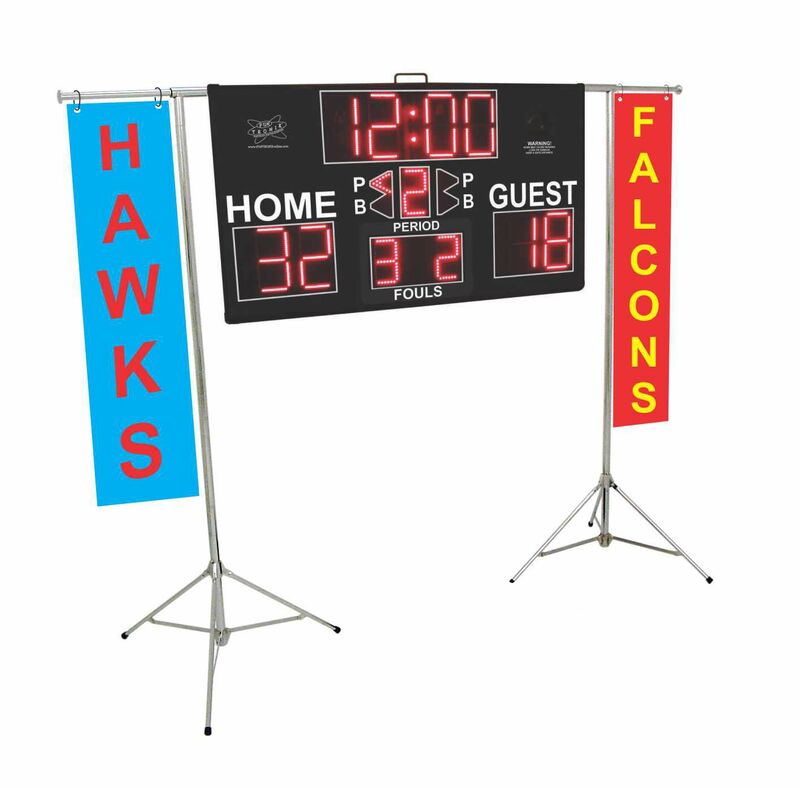 Includes retractable banner holders. The entire stand easily collapses and fits into the included carrying bag. Please note that this tripod stand is not for use in high-wind conditions or on unstable surfaces, such as soft or uneven ground.